Grime star Rapman has paid tribute to the late rapper Cadet with a new version of the song Letter to Cadet. Cadet, from south London, real name Blaine Cameron Johnson, died in a car crash on his way to a gig on 9 February. Rapman's song Letter to Cadet (Cadet Tribute) is inspired by Cadet's song to his cousin, Letter to Krept, and Krept's response, Letter to Cadet. All money made from the new song will be donated to Cadet's family. Cadet, who was 28, died in a car crash on the way to a gig at Keele University in Staffordshire. Rapman, whose real name is Andrew Onwubolu, is known for creating YouTube crime drama Shiro's Story, in which Cadet had a cameo role. In the new song, Rapman delivers a heartfelt tribute to Cadet, who he spoke to the week before he died. He calls the rapper "the hardest worker in the game" and says "you died too young and you died too soon". He continues: "I had to make this song out of respect. Without you, I would've never have tried to up it. "So thank you for coming into this lane and making people appreciate the art of narration, storytelling, whatever you want to call it." Rapman's tribute is one of many that have been paid to Cadet since his death. Cadet's cousin Krept - of rap duo Krept and Konan - has organised a show in his memory called The Rated Legend. Krept was one of the first to pay tribute to the star when news of his death was announced, saying he was "heartbroken". 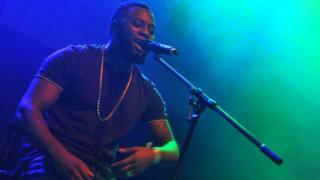 More than 25 UK music stars will perform in the show at the Brixton Academy on 2 March, which would have been Cadet's 29th birthday. The proceeds will go towards a project in Cadet's name for his local community.